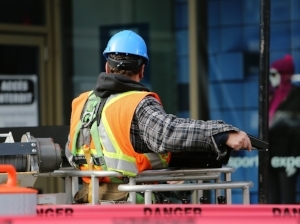 Protecting workers from potential head injuries is an essential component of any workplace safety program, especially in the construction industry, where a head injury can become life-threatening in an instant. Hard hats, if worn properly and consistently, can protect crew members from falling or flying objects, electrical shock hazards and unintentional hard hits against fixed objects. OSHA Construction Standard 1926.100(a) Employees working in areas where there is a possible danger of head injury from impact, or from falling or flying objects, or from electrical shock and burns, shall be protected by protective helmets. In order to be effective, hard hats, or protective helmets, must be penetration-resistant, shock-absorbent, water- and fire-resistant. Hard hats must have easy-to-understand instructions provided that explain proper adjustment as well as how to replace the suspension and headband correctly. OSHA rules state that Where falling object hazards are present, helmets (hard hats) must be worn. But that isn’t the only time that a hard hat may be required. Make sure your hard hat fits properly! If your hard hat is too large or too small, even if it meets all the requirements, it will not protect you properly. Hard hats, when fitted correctly, should not bind, slip, fall off or irritate the skin. 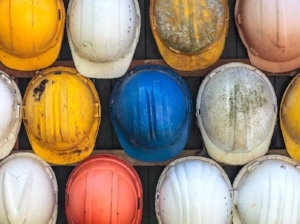 Workers need to know that not every hard hat is the same! The type of protection provided by a hard hat can be very different depending on the style and the manufacturer. Head protection, such as hard hats, must be designed to provide protection from impact and penetration hazards caused by falling objects. OSHA requires hard hats to meet special requirements and be marked with ANSI Z89.1. 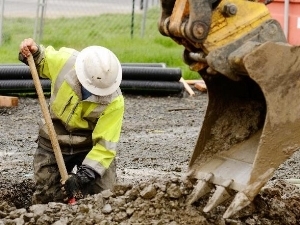 Depending on the job, some workers may be required to wear hard hats that also provide protection from impacts that happen to the sides of the hard hat, in addition to the top of the head. These types of hard hats are classified as Type II helmets according to ANSI Z89.1. Type I hard hats protect from impacts to the top of the head and Type II hard hats protect the top and sides of the head. There are also three classes of hard hats related to electrical protection. Protective headgear accessories (like slots for eye PPE or optional brims) can help workers be more comfortable and comply with additional PPE requirements, but keep in mind that hardhat accessories must not compromise the safety elements of the protective helmet. Always be aware of any possible hazards to your head. Not every hard hat is the same! The type of protection provided can be very different depending on the type of hard hat. OSHA requires hard hats to meet special requirements and be marked with ANSI Z89.1. Workers exposed to electrical hazards must wear the appropriate head protection for the type of electrical hazard. Inspect your hard hat daily for signs of damage. Some hazards to the head may require workers to use hard hats designed for impacts to the sides as well as the top of the head. Workers need training to recognize the types of hazards requiring head protection, how to properly wear and maintain their head protection, and when to replace it. Hardhat accessories must not compromise the safety elements of the protective helmet. Always replace a hard hat if it has sustained any kind of impact, even if damage is not noticeable. 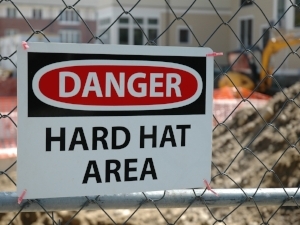 Replace hard hats if they have cracks or show signs of damage. Just because wearing a hard hat seems like Construction 101, don't assume that workers don't need training in this area. It is important that all team members that are required to wear hard hats receive training on how to recognize hazards that require head protection, how to properly wear and maintain personal head protection and when to replace the hard hat. If you are ready to do more for your workplace safety and health program, adding regular safety meetings or toolbox talks is guaranteed to improve workplace safety while improving productivity and your company’s bottom line at the same time. Putting together the safety message, toolbox talk or safety meeting topic takes time and the free online resources that provide a safety topic outline to follow just aren’t good enough. Weeklysafety.com can make this part of your job easier and it’s super simple to get started. A membership to Weeklysafety.com comes at a very low price that never goes up no matter how many employees you have and no matter how many awesome safety topics you use. You don’t need any fancy software, employees don’t need to download an app, and it's very easy to get started. Included in your membership are hundreds of safety topics that you can use for your safety meetings, toolbox talks and safety moments including a safety meeting topic like this one that covers Hard Hats in Construction Areas. Take a look at our website to learn more about everything that comes with a Weeklysafety.com membership and see all the information on pricing options. Click below to learn more today!